Kingston & Knight Audit delivers auditing and assurance Melbourne can rely on to enhance the strength, sustainability, and efficiency of organisations or enterprises. Under Australian law, many organisations and entities are required to adhere to financial reporting standards which include requirements to undertake auditing and assurance procedures. This is to ensure that stakeholders have access to independent and objective financial advice relating to the entity’s financial position and performance. Financial reporting requirements differ depending on the nature of the entity, for example, whether it is for-profit, a listed or unlisted company, its size, and its activities. As a result, auditing and assurance requirements differ substantially depending on the nature of an entity and its financial circumstances. Listed companies and other large enterprises are subject to the Australian Securities and Investments Commission (ASIC)’s rulings and requirements. Not-for-profit entities such as community organisations and charities are regulated by the Australian Charity and Not-For-Profit Commission. The role of these regulators is to ensure that Australian entities maintain a high standard of transparency and rigour in their operation and governance. Auditing and assurance services are specialised financial services delivered by registered professionals who assist these entities in meeting regulatory requirements. Moreover, the rigorous and objective analyses conducted by auditing and assurance Melbourne practitioners such as Kingston & Knight Audit, are an indispensable component of modern financial management. The process of enabling stakeholders and regulators to make informed decisions regarding an entity’s financial position is known as assurance. Assurance services are about much more than compliance with regulations. For example, investors and prospective senior management candidates refer to auditing and assurance records to inform their decision regarding whether or not they will join an organisation. To ensure compliance with the financial reporting obligations and to minimise the impact on financial activity, legislative requirements set the standards for auditing and assurance services. Auditing and assurance services can only be performed by an approved practitioner. Approved practitioners are required to have extensive financial experience and qualifications, enabling them to deliver auditing and assurance services to entities and organisations of all kinds. In addition, approved auditing and assurance practitioners are required to maintain their independence and adhere to ethical and professional constraints on their practice. Kingston & Knight Audit is proud to deliver services in auditing and assurance Melbourne can rely on. Organisations, enterprises and entities maintain compliance with legislative and regulatory requirements. We take the hassle out of financial reporting. Organisations have access to objective, transparent findings that highlight the strengths, weaknesses, and opportunities inherent in its financial position. Industry best practice financial management and governance standards are in place. Stakeholders, including investors and management, have access to the objective and independent analyses. This ensures that important decisions are informed by a true and fair depiction of the entity’s financial position. Kingston & Knight Audit has developed a team of committed, qualified, and experienced auditing and assurance professionals who offer objective, comprehensive support and advice. By providing a source of rigorous and transparent financial analysis, our Melbourne auditors enable you to improve your financial position and maintain compliance with financial reporting obligations. Whether you require auditing and assurance services as part of your compliance with regulations or are seeking independent professional financial analysis to improve your governance and operational processes, our Melbourne auditors will ensure that your needs are met. Often what begins as a compliance audit may turn in to the provision of invaluable advice and guidance, as an initial audit and review process often uncovers gaps in financial reporting processes and financial management practices. Besides Listed Companies, Who Needs Auditing and Assurance Melbourne Services? As we mentioned earlier, many entities and organisations are required by law to engage approved auditing and assurance practitioners as part of their financial reporting requirements. In addition to ensuring compliance, the auditing and assurance process enables the entity to examine the strengths and weaknesses of its financial position. An auditor’s report, depending on the requirement of the client, contains recommendations as to how any weaknesses may be addressed. An important service provided by Kingston & Knight Audit is the internal audit, also known as a risk review or management audit. This is an audit of an entity’s governance, control, and operational mechanisms that provides a true and fair depiction of the impact these mechanisms have on the entity’s financial position and overall functioning. The kind of information obtained from an internal audit may be used to inform major decision-making processes, such as deciding whether or not to change the entity’s structure or management. Are you unsure about whether your financial reporting obligations are being met in the best way possible? Perhaps you simply want to know more about how our auditing and assurance services may benefit you. Any questions or queries are more than welcome here at Kingston & Knight Audit. 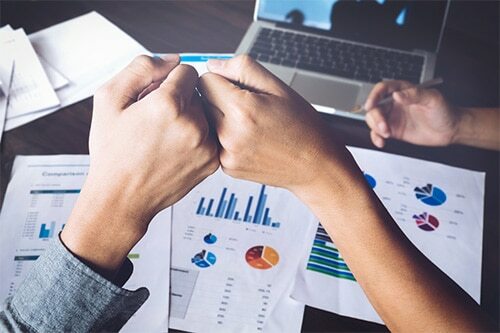 We understand that the financial reporting process and broader financial management are inherently complex, especially when accounting for your unique vision and circumstances. Our Melbourne auditors are proud to provide a free telephone consultation to answer your questions and provide preliminary advice. This may mean the difference between a missed opportunity and the next step toward the realisation of your financial objectives. Kingston & Knight Audit is proud of the client-focused approach we take to auditing and assurance, as well as our emphasis on communication and transparency. Don’t hesitate to pick up the phone and get in touch with our auditing and assurance Melbourne experts today on 1800 283 471, or email us via audit@kingstonknight.com.au.